All through October, Alphabet Soup is celebrating turning three. 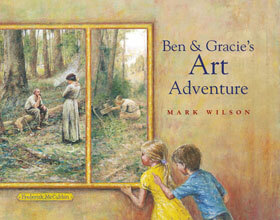 We have heaps of writers and illustrators stopping by to answer THREE QUICK QUESTIONS and today’s visitor is Mark Wilson, author and illustrator of many books, including Ben and Gracie’s Art Adventure and The Little Wooden Horse. 1. Where do you like to write/do your artwork? At the beach or around the coast somewhere. I love rock pools and rocky headlands. 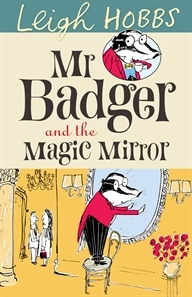 The Mr. Badger series, by Leigh Hobbs. The most brilliant little pen and ink drawing on page after page! 3. Can you offer a word or phrase that kids could use for inspiration if they have writer’s or illustrator’s block? Two words … Stay cool. 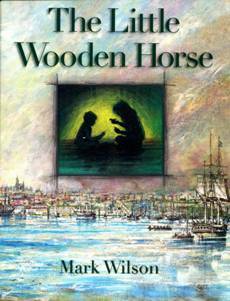 Find out more about Mark’s books and illustrations on his website! Contact: Phone AH Bracks Library on 9364 0115 for more information. For: ages 7 to 12. To celebrate its launch, Sandy is taking Monkey Fist on a Blog Tour. 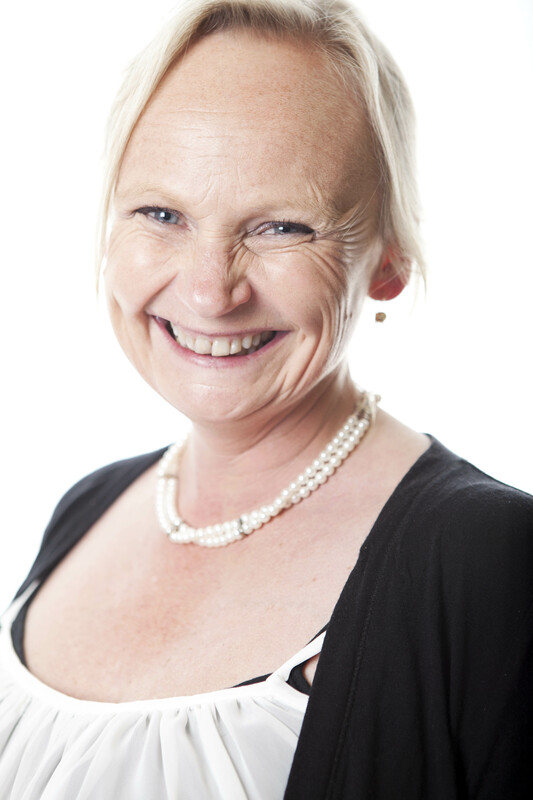 We’re excited to have her visiting Soup Blog today, and we asked her some questions about how she does the research for her books. Set in 17th century China, Monkey Fist follows the adventures of a group of samurai students and their teacher, Sensei Ki-yaga. Each student has a challenge to overcome on his personal journey. When Kyoko is kidnapped and hidden away in the Forbidden City, Sensei and the kids hurry to her rescue. They are aided by the Lin, a group of Chinese forest ninja and by Master Jang, the Poisoner. And now, some questions for Sandy! How do you do the research for your books? I love the Internet but when using it for research you have to be very careful that the information is coming from a credible source – someone who knows the subject. The internet is both trap and treasure. I have been collecting history books since I was a child so have a huge personal collection covering my areas of interest – and am always looking for an excuse to buy another book. I like to write about the periods of history that are not so well known so there aren’t many relevant books in my local libraries. 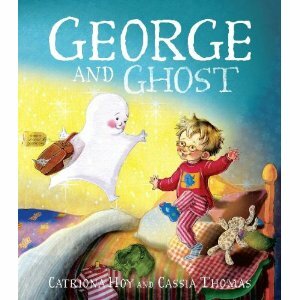 I do consult experts and they are always very happy to be involved in research for a children’s book. Do you have a favourite way to research? I love the internet because it is a real treasure chest. Following a link can lead to the most interesting and obscure information. I find things I didn’t even know I was looking for. How do you record your research, and why do you do it this way? I make lots and lots of notes. I photocopy book pages and print out web sources. It’s important to document all the facts used when writing history. I found this out the hard way. After I finished my first book, White Crane, I threw out all my notes. Then my publisher, Walker Books asked me for references to support the historical facts I had used in the narrative. I had to relocate everything and reproduce 30 typed pages of notes. It felt like I had written another book! Before you write anything, do you get all your research done first? How do you know when to stop researching and start writing? I like to spend a solid month researching and thinking about where my plot will fit – as in the geographic location, any significant events occurring at the same time. Then I start to write. I am very structured and the Samurai Kids books are always on a deadline. I allocate a month because a month is all the time I’ve got. How do you use your research when you sit down to write? I reread constantly. Little facts take on new significance as the story emerges. I particularly like to read primary sources – texts written by people alive at the time. One of my favourites is The Book of Five Rings by the legendary samurai swordsman Miyamoto Musashi. If I am writing a historical novel the two are so entangled they are impossible to pull apart. But I don’t want to try as I love doing both. Do you ever find out something in your research that means you have to take the story in a direction you weren’t originally planning to? Recently I discovered an arquebus (gun) from the mid-seventeenth century can only fire once before reloading. In the second chapter of my current manuscript (book 5) my character shot two birds in succession. So far it has always been small stuff like that and doesn’t affect the story direction. However I am a stickler for getting the facts right and check my references quite thoroughly so I don’t often find research errors. How much time would you spend on each book in Samurai Kids? The Samurai Kids books are generally on a six month schedule. I research for one month, write for four months and then revise and rewrite for one month in addition to the revision I do as I go. I always say there is a lot of mathematics in writing – the planning, the pacing and all those word counts!